Consumer sentiment was strong in January as spenders wait to see how Brexit will affect their pockets. SALARIES ARE SET to rise by 5% on average, and by up to 20% for in demand and emerging niche skill-sets this year, according to the Morgan McKinley Irish Salary Guide for 2019. Its analysis forecasts that the positive outlook for the economy has put pressure on the jobs market that will help to drive up salaries this year, with Ireland also well placed to receive an employment boost after Brexit. With the UK due to leave the EU on 29 March, and the potential of a no deal remaining high, two surveys released today on the Irish economy are very-much Brexit-heavy in their forecasts. While there is a degree of positivity regarding Ireland’s ability to cope with Brexit, there is also a certain limbo at present until we find out exactly how it will affect us here. 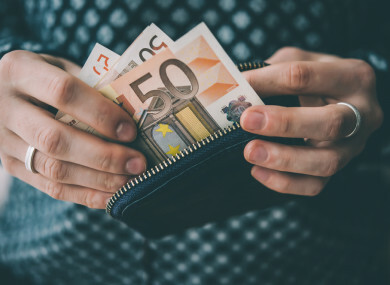 In a separate survey by KBC Bank Ireland and the ESRI, consumer sentiment was also strong in the first month of 2019, as spenders wait to see how Brexit may affect their pockets. According to the analysis by the recruitment agency Morgan McKinley, 52% of employers who participated in its survey agreed that the Irish jobs market will be “more attractive” due to Brexit. However, a large proportion of employees feel undervalued with 60% saying that they deserve higher salaries. A similar proportion (61%) of workers say they work more than their contracted hours, while just over half (53%) of professionals are expecting a salary increase in 2019. Employers cited a “lack of growth opportunities for employees” as the number one reason for employee attrition. Morgan McKinley’s chief operations officer Ger Fitzgerald said: “Preparation for GDPR and the ongoing ramifications of Brexit have both positively impacted project orientated employment during 2018, however it remains to be seen whether the influence of Brexit will have an overall negative effect as it unfolds during 2019. One side effect of the strong growth has been the extra pressure on the already stretched infrastructure, especially in Dublin, Cork and Galway. With the economy at close to full employment we also expect that there will be increased pressure on salaries with an anticipated increase in wage inflation in 2019. We started to see this during 2018 with a significant increase in counter offers and much more vigorous attempts by organisations to retain their key talent. According to the KBC Bank/ESRI consumer sentiment index for January, spending indicators will remain on a “choppy path” in early 2019 as people juggle the risk of the UK crashing out of the EU with modestly improving conditions in the economy. Irish consumer sentiment rose slightly in January on the back of post-Christmas sales and positive jobs news, which offset ongoing concerns over Brexit, KBC said. The bank said that consumers are watching and waiting to see whether Brexit pivots towards “promise or pain” as they regulate their spending. Its chief economist Austin Hughes said in his analysis: “Irish consumers have adopted a more cautious approach of late. So, there seems to be scope for either a soft Brexit ‘bounce’ or a hard Brexit ‘bump’ in spending as 2019 progresses. The index suggests that consumers aren’t ignoring Brexit, even if they aren’t sure how it will affect them going forward. The weakest element of the survey was consumers’ outlook for the Irish economy, with people expecting a weaker rather than a stronger economy to prevail in the next twelve months. Hughes added: “The uptick in sentiment in January is encouraging in that it suggests Irish consumers are not completely overwhelmed by Brexit gloom. Although the details highlight fears the Irish economy might weaken and more caution in relation to spending plans, they also suggest consumers recognise the continuing strength of the jobs market. Email “Salaries predicted to rise by 5% on average this year as employers forecast Irish jobs Brexit boost”. Feedback on “Salaries predicted to rise by 5% on average this year as employers forecast Irish jobs Brexit boost”.